Food Capital is the flagship food court at Worldmark in Aerocity. It is the only food court in Aerocity Hospitality District. 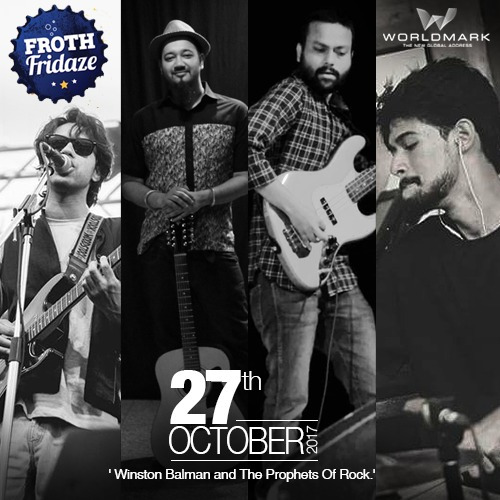 Given the unique locational advantage and wide variety of food vendors, Worldmark proposes to commence an event for every Friday of the month- "Froth Fridaze", this Friday featuring the 2nd Band of “Froth Fridaze” i.e. Winston Balman and The Prophets of Rock! @Worldmark, Aerocity =. Event will feature an artist performance (band, solo, stand-up, instrumental etc.). The event will revolve around ‘beer, boozing and fun’ with beer bottle sculptures, beer barrels, beer game equipment.